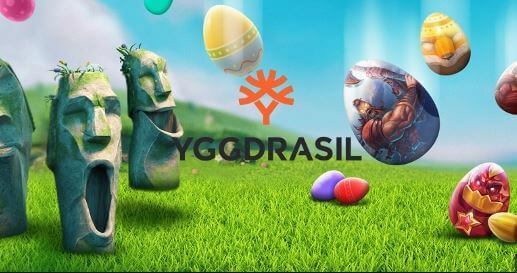 From April 17th until April 22nd several NetEnt casinos will run the Find the Golden Egg giveaway promotion from Yggdrasil Gaming. During this promotion you can win cash prizes by playing one of five Yggdrasil Gaming slot games. You have to make a minimum bet of €1,- on any of these slot games to qualify. While playing there can drop down a special egg that will instantly reward you with a cash prize. And you also have the possibility to double the win. This reward will be instantly credited to your account. And needs no wagering. The prizes in bold will also trigger the double chance feature. Pick one of two eggs for a chance to double the win. If you receive a golden egg the doubling is guaranteed. This is a very nice promotion open to all players at many different NetEnt casinos, like for instance EuroCasino and Casumo. Visit one of the qualifying casinos now and start playing. I hope you will find one or more eggs!